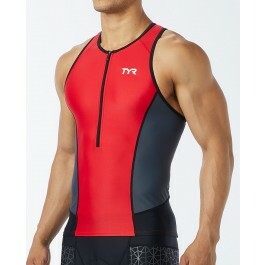 Dominate the disciplines in the TYR Men's Competitor Tri Tank. Constructed from our advanced Competitor woven technology, the TCOM6A offers stretch, recovery and durability. 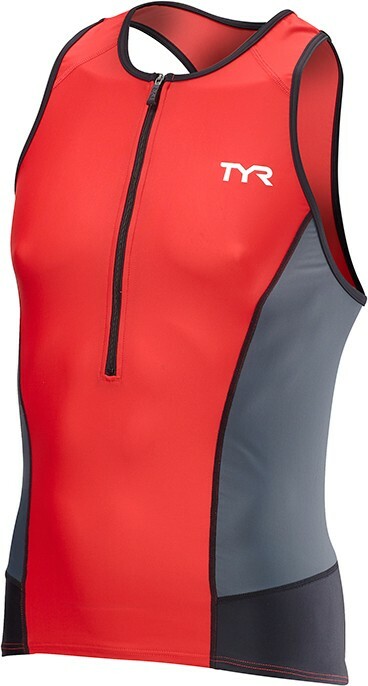 Equipped with specialized compression webbing for increased blood flow and maximized muscle performance, this tri tank exceeds the bounds of apparel. 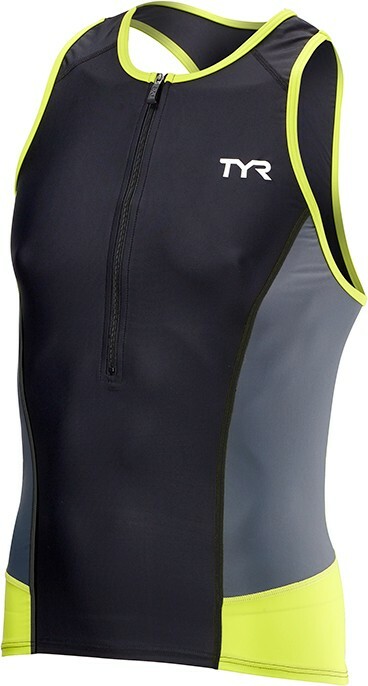 In addition to lightweight, quick-drying and ultra breathable fabric, the TYR Men's Competitor Tri Tank also includes UPF 50+ protection, back pocket storage and a 10" front locking zipper. Overall it is good quality. My only complaint is where the zipper ends a the bottom of the singlet has sharp edges and was extremely irritating from the moment I tried it on. I had to have a small piece of cloth sowed over the zipper to make it wearable. Other than that a good product. I love the shorts (7 inch). Great compression and overall fit. 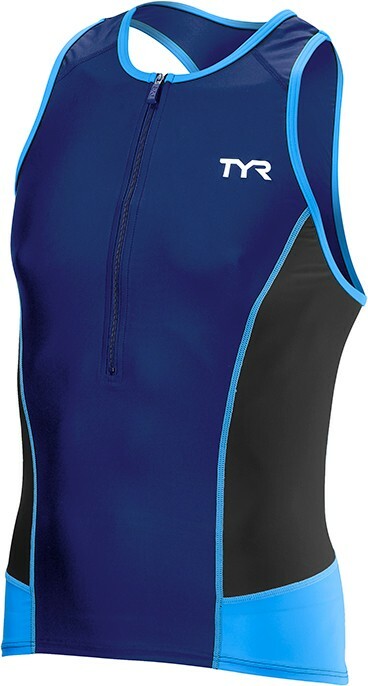 The singlet fits great and no complaints about quality. Unfortunately the seams are not flat around the arms and, for me, would lead to chafing on anything longer than a sprint.